This is a heck of a start to the year. After coming up short most of last year, I hit the ground in 2015 running. I read 7 books in January and left another couple half finished, so I should be up around five again for February. I am getting back into fantasy in a big way, at least during the early part of this year. I never really stopped reading fantasy, but I got a double handful of new books in the genre for Christmas so they’re there. And I’ve noticed that I’ve only read a narrow sliver of the genre, maybe a wider study would be helpful. This is boilerplate fantasy. Other than some sub-sitcom level Battle of the Sexes “comedy” there is nothing to separate it from the hordes of other Tolkien imitators. The occasional spark of a fresh idea or interesting development is quickly wiped away to go back to the same thing everyone has read a hundred times. Maybe my opinion would be different if I had read the previous books in this series. However, this book bills itself as a part one, so it should be readable on its own. There is just not enough here to be recommendable. The occasionally interesting characters are hamstrung by the books rather rigid view of gender roles and the plot meanders around in neutral for more than half of the page count before finally finding some forward momentum just as the book ends. With this Modesitt Jr is writing feminist fantasy. It is a great antidote to how male dominated the genre usually is. The protagonist, Anna Marshall, is transported from modern day Iowa to the magical land of Erde. Once there she finds that her singing ability translates into magical power. 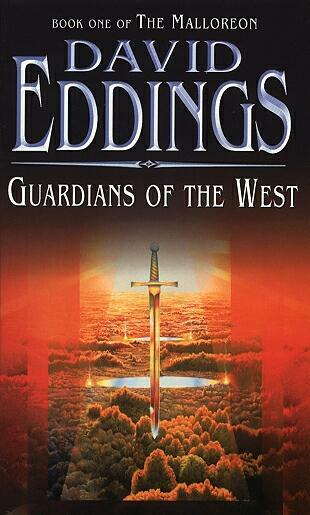 The place she arrives in is threatened by the evil dark monks and she is recruited to help fight them. While she does do that, she spends most of her time fighting the backwards and sexist attitudes of her allies. For the most part the book works, but it doesn’t quite gel into something better than good. Seeing a woman with power destroying stupid conventions is entertaining, but her obstacles don’t stay in her way for that long. Anna encounters a problem and then simply solves it. While she is constantly fighting, she gets rid of her problems a bit too easily; most of them seem no more difficult than swatting a mosquito. The straw chauvinist stuff works really well, many of the attitudes come from conventions of the fantasy genre, but the central conflict doesn’t make the reader feel its weight. Bad things are happening, but the bad guys are never anything but stock evil figures. It is disappointing. Still, it is a largely enjoyable book all the same. This book certainly lives up to its reputation. It is riveting. As well-known as it is, I had not been spoiled, so I got to read the whole mystery fresh. It does a marvelous job of keeping readers on their toes. And Then There Were None starts with ten people arriving at an island house expecting to be at a dinner party thrown by an old friend, only to find out that it was all a set up to get them there. Then they are accused of murder by a record and people start dying. There is no detective, just ten strangers trying to guess which of them the murderer is. It is tense and thrilling as one by one they are knocked off. 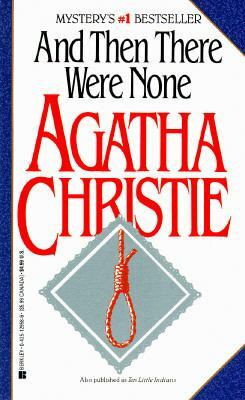 I haven’t read a ton of Agatha Christie (though I did get a couple of collections for Christmas so that should change) but this is the best so far. I bought this thanks to an interesting blurb and my memories of reading Zahn’s Star Wars books. While this isn’t the first book in this series, it is easy enough for a new reader to pick it up and not miss much. Frank Compton works security for the Quadrail, an interstellar train system, along with his assistant Bayta. Following up on whatever happened in the previous book, they take an express train that won’t stop for six weeks. Once their trip gets going, passengers start dying. Frank suspects poison, which should be impossible because passengers are screened for that before they get on the train. He has to get to the bottom of things before everyone panics or they reach their destination and the culprit escapes. The Domino Pattern is not great, but it is a fun mix of science fiction and mystery. 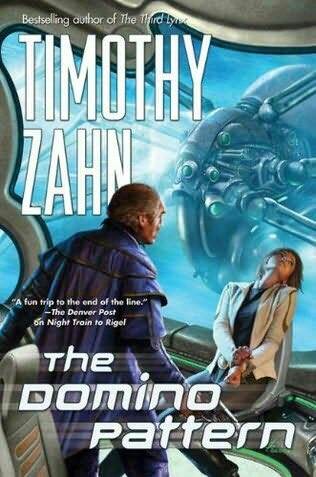 Zahn keeps things moving, with entertaining if not especially vivid characters and an exciting non-stop plot. It is a fine example of genre fiction. While I’ve read most of Sayers’ Wimsey books by now, this is the only one I knew anything about before I started reading them, thanks to Edmund Wilson‘s fatuous essay “Who Cares Who Killed Roger Akroyd” which savaged it. The reality, though, is that The Nine Tailors is a really good mystery. There are a lot of strange things going on and none of them are truly red herrings, everything is connected, it is just hard to see how it all connects until the end. 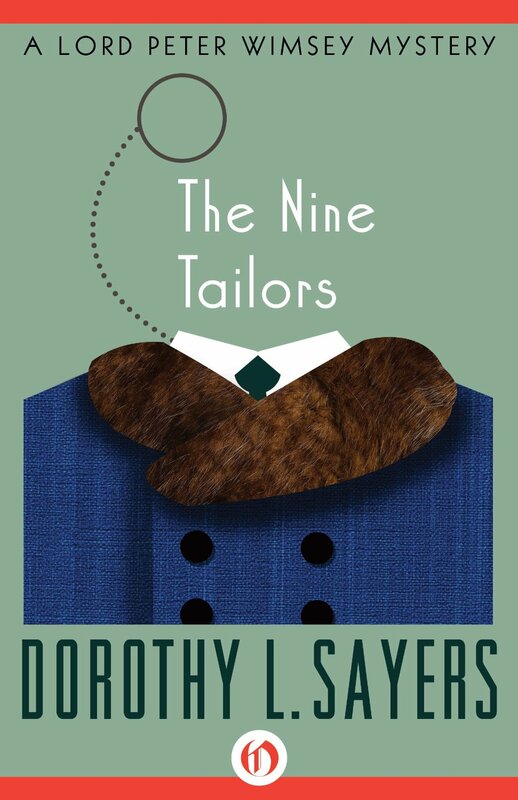 The Nine Tailors starts with Lord Wimsey’s care breaking down in a small town and while it gets fixed he helps out ringing the church bells, known as the nine tailors. While there he hears about a case of stolen jewels from 20 years previous. The culprits were caught, but the jewels were never recovered. A few months later he is called back when an extra body is found in a grave during a burial. As usual, everything unwinds through Lord Peter’s investigation. I don’t want to spoil it, but it does feature a rather novel manner of death. This more interesting in theory than in practice and it is pretty interesting on its own merits. 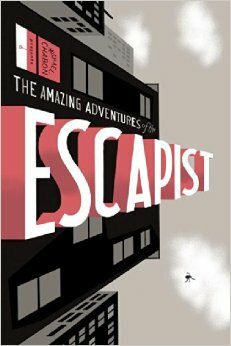 The Escapist is the hero the main characters of Chabon’s excellent novel, The Amazing Adventures of Kavalier and Clay, created, their rival to Superman in the early days of comic book heroes. This collection of comics, with some written parts, creates a fake history of that character. He is mentioned in the book, but the book is about cousins Kavalier and Clay. Here Chabon and an all-star collection of comic book talent create those fictional adventures, sampling from many different eras of comic book history. It does a great job weaving these characters into a plausible history. It helps that the stories themselves are largely really good. Generally they involve The Escapist using his escape artist powers to foil bad guys. It goes from the bare bones early days, moves on to goofy a goofy Silver Age version. Then there is a manga version. All of them are recognizably the same character, but all from different of comic books and they accurately reflect those eras. It helps that creators from those eras are here to add the lie. Gene Colan, Howard Chaykin and Jim Starlin all contribute pages. It looks good and tells some very good stories. This is worth it just based on the merits of the creative teams alone, the added meta-fictional element just make it all the more interesting. I hope to be able to track down the other two volumes soon. This is really good. 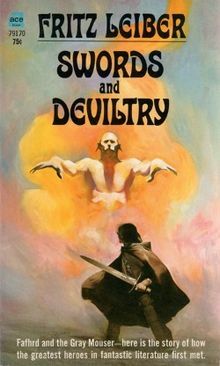 I had heard a lot about Leiber’s Fafhrd and the Grey Mouser stories, but to start this volume did not live up to the hype. The first two stories, The Snow Women and The Unholy Grail, are origins for those two characters and are simply not that interesting. In the first, young northern barbarian Fafhrd stains against his domineering mother and wishfully controlling young lover, while falling in with a cunning dancer. The other has a young wizard’s apprentice Mouse trying to get revenge for the murder of his master. I am going to assume that though these are the first stories in the chronology of the series, they were not the first stories that these characters appeared in. 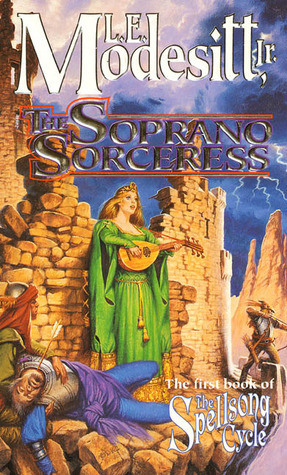 While they do a good job of illustrating each character, otherwise there is little about either story than generic swords and sorcery adventures. However, the third story in the collection, Ill Met in Lankhmar, is excellent. The two characters meet up while shaking down some member of the thieves’ guild. After a night of drinking in celebration, Fafhrd and the Grey Mouser are goaded into taking on the whole guild. So they sneak in and things go badly. For everybody. The third story is also where the quality of the writing really picks up. The first is filled to the brim with reminders the ice and snow, mostly using variations on those two words over and over. The third story, though, is when the darkly humorous tone really shines through. At least it does right up until the story shifts from comedy to tragedy right around the middle. Leiber really lets the reader feel the rage and despair of his characters. This series reputation for somewhat more human pulp adventures is well founded. If the rest of the series is closer to the Ill Met in Lankhmar than the first two stories, then I can’t wait to get to the rest of them.